Ay-yi-yi…this blog-o-ver-sary is telling on me TOO much! Not only have I gushed over God’s great love and faithfulness towards us and simply melted in sappy, love-oozy words about these grandbebes who call me Nonna, I have also laid bare my junk and my faults and confessed my regrets and sorrow over everything I meant to do, tried to do, FAILED to do…with epic grandeur. I do, at least, have some pride at that. If you are going to fail, fail REALLY badly, –really, really badly. In its’ own way, that is also wholehearted living, n’est ce pas? 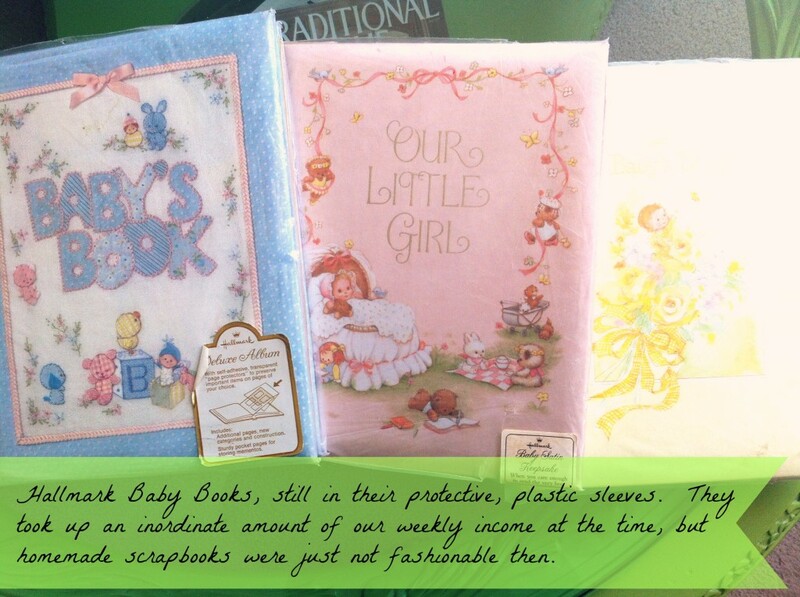 Baby books. The records of first teeth emerging and the brilliance of the first roll-over from back to tummy and the first ma-ma or da-da. Who wouldn’t record every single second of these life-altering moments with extemporaneous memorandums? Who?! 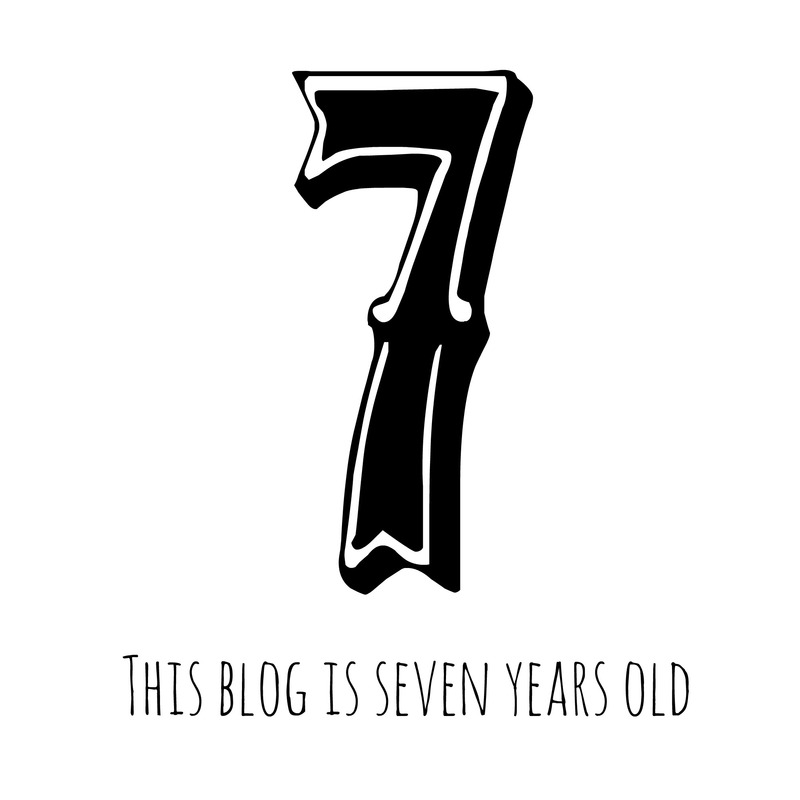 Well, me…and oh my, the regrets it has brought me, as proven by various blog posts from the past seven years. Who will buy this beautiful morning and put it in a box for me? So I can see it at my leisure, whenever things go wrong. 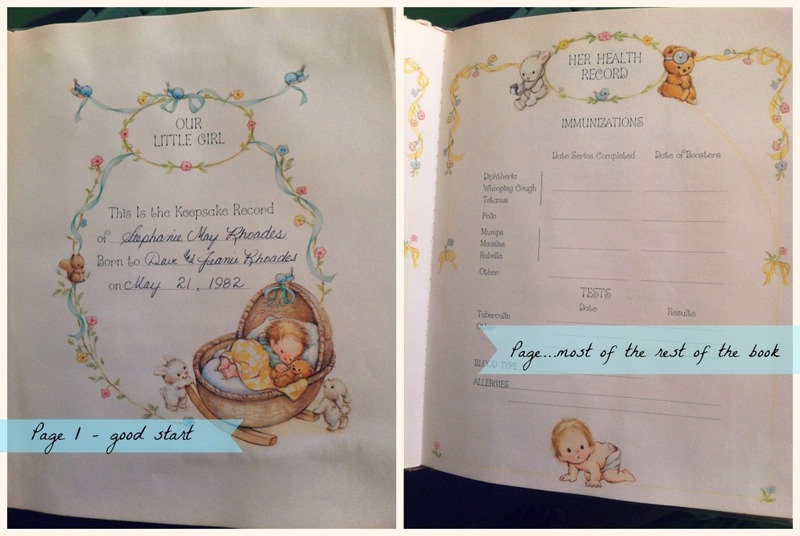 I failed my children in baby-booking. I did. I just stunk at it. Their entire lives, the guilt of the knowledge that I had not filled out the dates on the teeth-cutting-arrival charts gnawed at me relentlessly. Pages with the words paste photo here nakedly jeered at me, taunting my inability to create a wondrously meaningful book for posterity. It wasn’t that I didn’t have photos to paste. It wasn’t that I didn’t delight at the clink of the spoon on a newly emerged tooth or want to remember every single, tiny moment of their first days. I saved everything for each of my children from the second I knew they were coming. It was almost a sickness, induced, I fear, by having a parent who saved nothing. We took untold thousands of photos of these 5 incredible children. They were also often undeveloped for a really long time. But somehow, I just didn’t do well at putting things in their books. I think my perfectionistic tendencies (aka my all-or-nothing sickness) interfered. 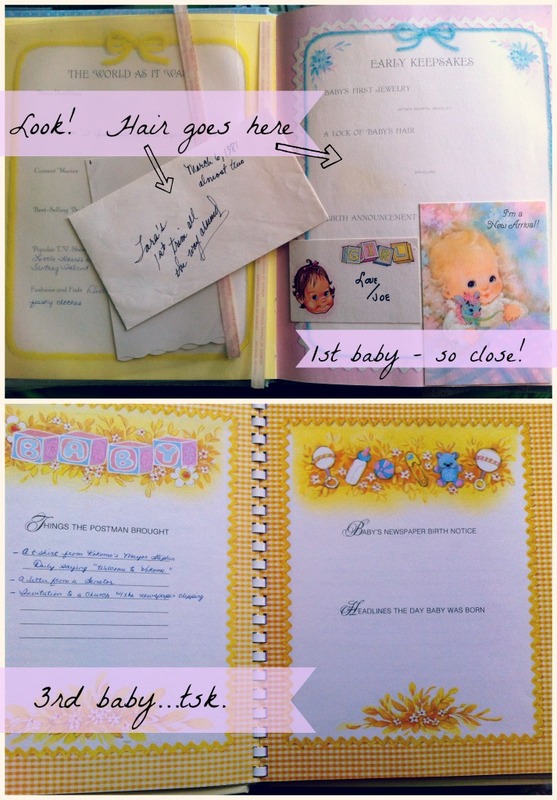 “Today I must focus entirely on the babybook and fill in each line and glue the proper photos as directed,” was my heart’s desire, but didn’t happen, couldn’t happen, because life was happening. When you are deeply involved in your husband’s ministry, right at his side AND almost annually producing a new human being, leisure time to cut and paste and record gets put on the back burner – or in my case, books safely tucked into their original boxes, high on a closet shelf. I know receiving all these odds and ends and bits and pieces of your lives may cause you to wonder: what am I suppose to do with all this stuff? And why is mom giving back to me the things I made for her as a kid? Well, I am keeping plenty of little momentos and scraps myself. As you know, I am hard at work cataloguing our lives, creating a chronicle of the adventures that we have enjoyed. I am placing everything in books that I can pull out at a moment’s notice and peruse and enjoy, but I am simplifying at this stage in my life. I hope the fact that I have held onto these things for so many years will speak to you of the importance they have had in my heart. …Memories are a tough thing sometimes. They can play tricks on us. At , I have made a decision to spend the last half of my life remembering the good stuff, the laughs, the successes, the wins – my chosen treasures. This is why I am cataloguing the blessed life I have been given. I am remembering the goodness of the Lord, the heritage He gave me, the legacy He is allowing me to leave. I am recalling His provision and His confidence in me to be your mother.